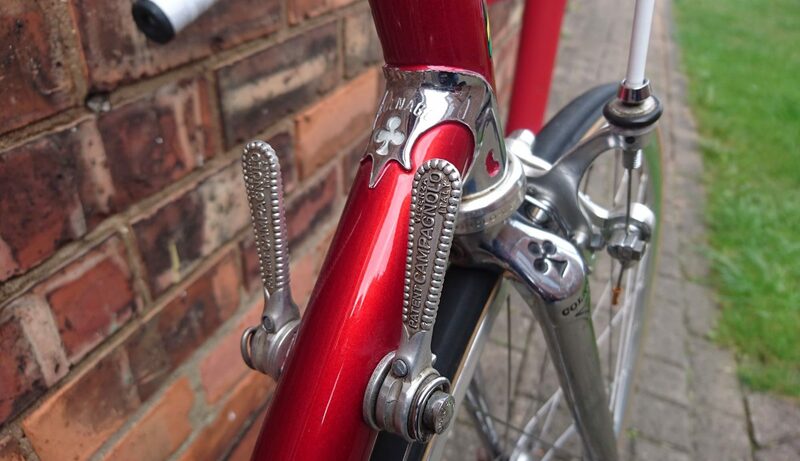 Join fellow connoisseurs of classic cycles for the Retro Classic, a 54 mile (86 km) day ride through Yorkshire’s finest lanes. 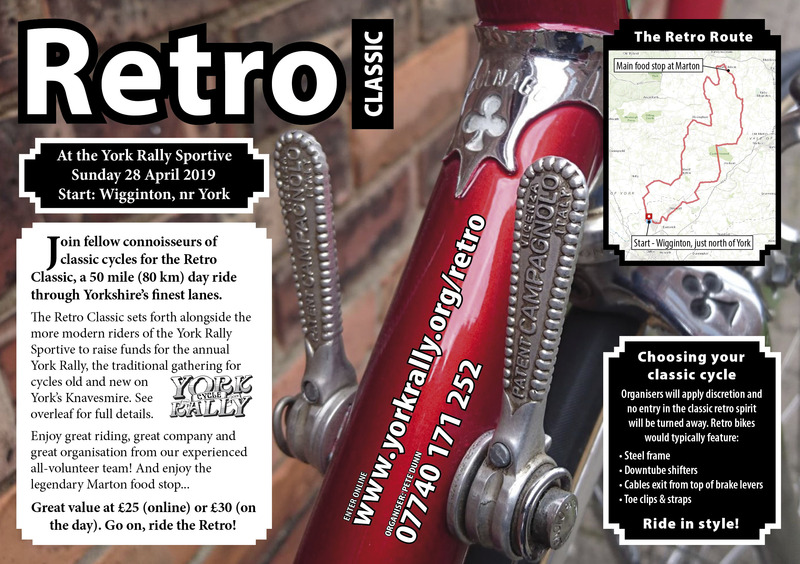 The Retro Classic sets forth alongside the more modern riders of the York Rally Sportive to raise funds for the annual York Rally, the traditional gathering for cycles old and new on York’s Knavesmire. Great value at £25 (online or by post – see below) or £30 (on the day). Go on, ride the Retro! Click the map below to enlarge, or see it on MapMyRide or download the GPX or KML route files. You can also see the print map PDF (hard copies will be provided for riders on the day). Entries are great value at £25 (online or by post) or £30 (on the day). Online entries are via the British Cycling website, and will be open until shortly before the ride. 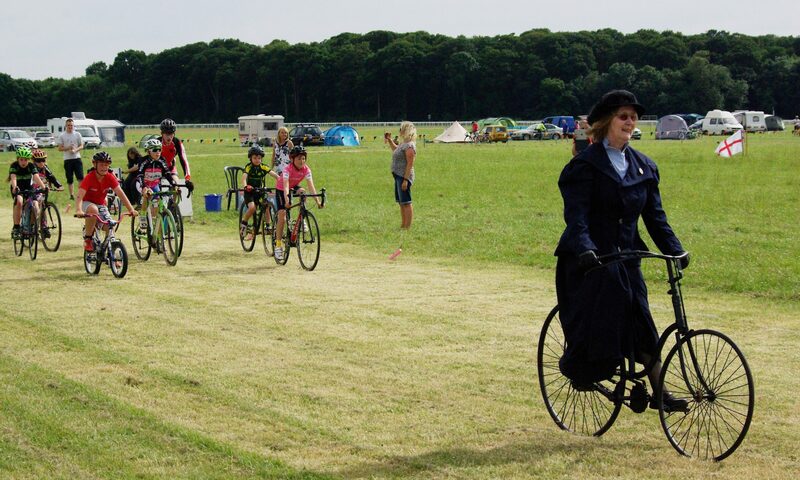 Places are limited, so we recommend early booking to be sure of your ride! Postal entries are welcome. 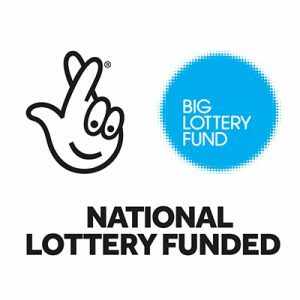 Please download the form (.doc), complete and print it out, then return it to the address on the form with your cheque (made out to “York Rally” please). Registration opens 9:00AM. Starts will be in small groups starting at 10AM. If you have any questions, please contact the organiser by phone: Pete Dunn 07740 171 252 or leave a comment below or on the Facebook event page. 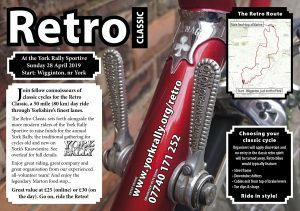 This Retro ride is a fundraiser for the York Rally, the traditional cyclists’ gathering held since 1945 on York’s Knavesmire. The next Rally is on the 22-23 June 2019: be there!